Anoka and Champlin have had a longstanding rivalry since the formation of Champlin Park High School in the early 1990's. Many of the families moving to Champlin previously attended Anoka making for an instant rivalry game with only the Mississippi River dividing them. With any good rivalry, there must be a trophy and the Paddle crossing the river is the perfect trophy for the two schools to fight over. 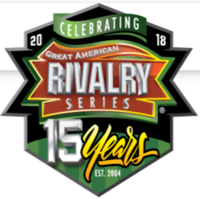 Adding to the excitement this year is the selection of this game as the Great American Rivalry game of the week. This honor is only given out to select schools in the country and this is the only Minnesota game to be selected.